Temperature, time, pressure (or stress) are considered important factors in changing the Gibbs free energy and optimizing the structure and properties of materials during materials processing. The effects of some other variables, including the magnetic field, electrical field, electromagnetic and ultrasonic radiation, and chemical reactions have also been well characterized. These factors have been widely applied in materials processing, and their limitations have been discovered. Thus additional factors and innovative techniques are constantly being sought to overcome those limitations. This paper presents such an innovative technique called qigong. 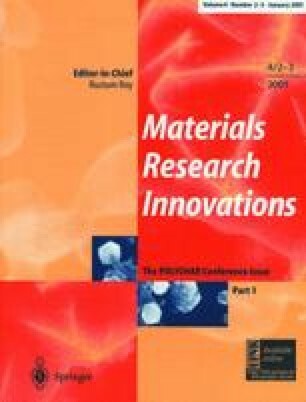 Three sets of materials-related experiments conducted by qigong doctor Yan and his collaborators are described in which for the first time the effects of qi on inanimate matter samples with no mechanical or electrical connection to the system are revealed on laboratory instruments. These experiments show that external qi of qigong produces significant structural changes in water and aqueous solutions, alters the phase behavior of dipalmitoyl phosphatidyl choline (DPPC) liposomes, and enables the growth of Fab protein crystals. These results demonstrate objective phenomena resulting from qigong and the potential of this ancient technology system, even in material processing. Important attributes of qi are summarized and the possible implications of these results from the materials perspective are discussed.